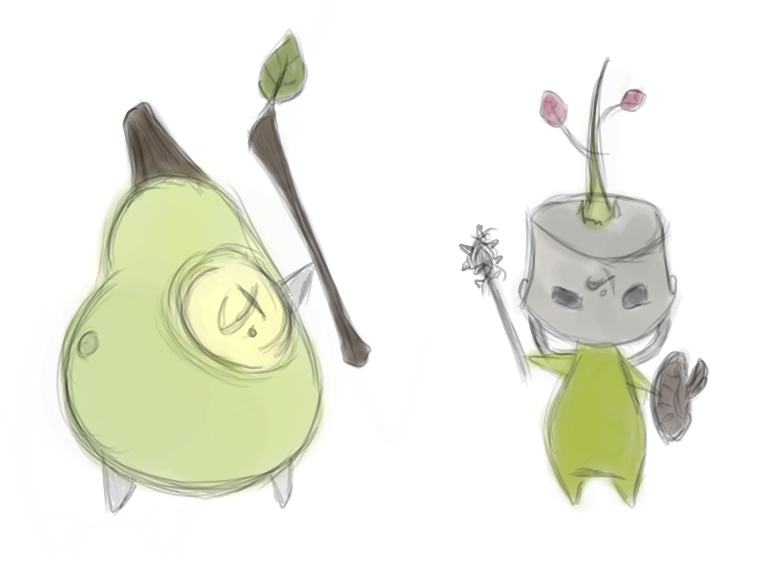 Drew some sketchy pictures of more Rokoko (plant spirits). Tablet drawing, so it looks pretty bad. The one on the right is holding an acorn top. Kinda failed on that.